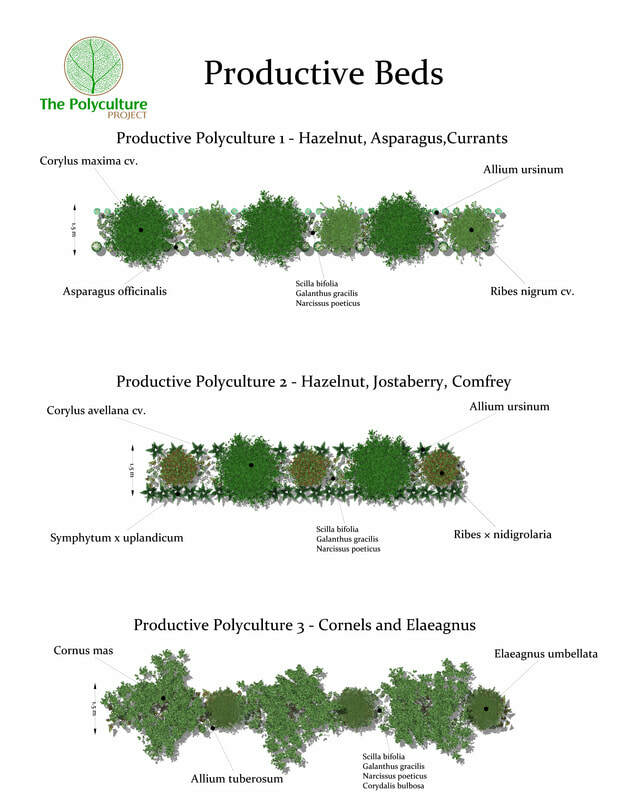 We'll be growing perennial plants for biomass adjacent to productive plants (fruits, herbs, vegatables, nuts) . The biomass plants will be used to mulch the productive plants and to condition the soil. 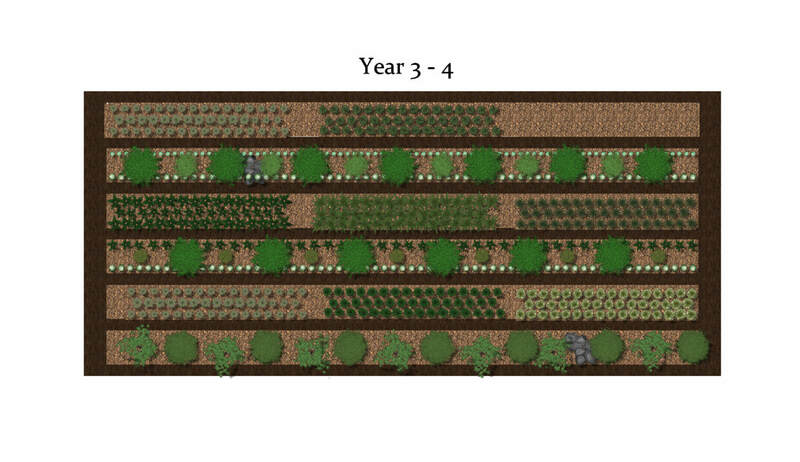 The garden layout is shown below. 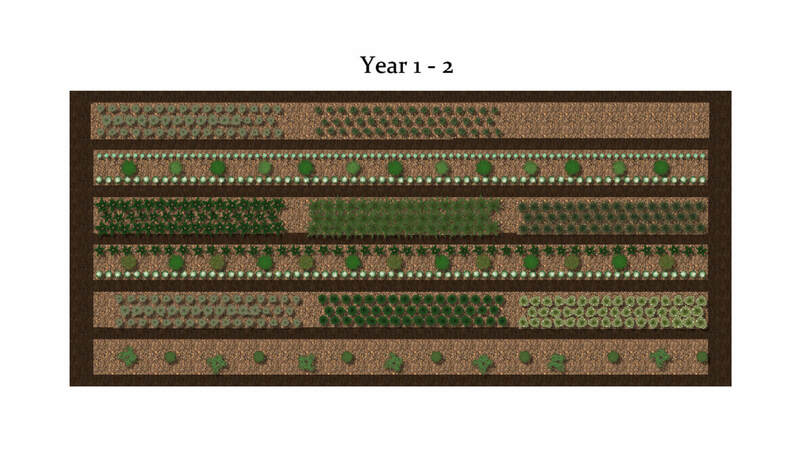 The planting arrangement is set up to utilise light availability in the early stages of growth by planting densely with pioneer plants, in much the same way that a natural succession would occur. During this period the pioneer plants in the biomass beds will be pruned at regular intervals to provide organic matter to the productive plants. In the 3rd - 4th year there is still plenty of light available to fuel the pioneer plants in the biomass beds. As the growth of the productive plants increase the light is reduced to the pioneer plants and they can be cut back for mulch . At this stage a transition to shade tolerant fruiting plants and herbs will occur. We have selected a range of pioneer plants to grow in the biomass beds and will be studying the suitability of each species for use in such a system. The ideal plant should grow well on poor soils, have relatively low water demand, be fast growing and tolerant of regular pruning. 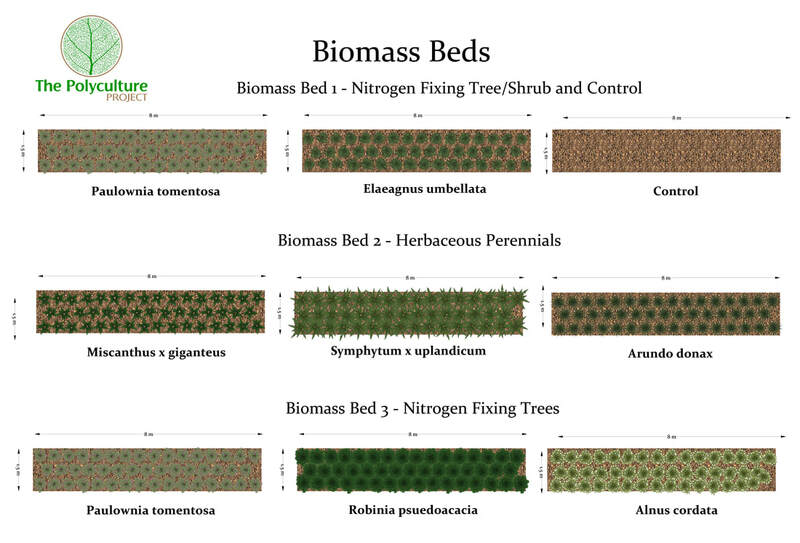 We will be growing three types of plants in the biomass beds. 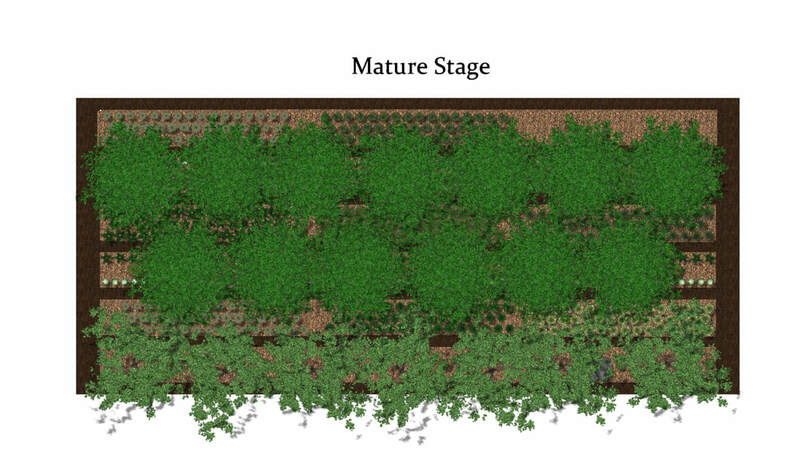 We'll be planting the pioneer plants in blocks of 1.5 m wide x 8 m long as shown in the below image. *Whether the Paulownia genus is capable of nitrogen fixation is unclear. Although you may find many reports of this plant being able to fix nitrogen on the internet there are no scientific papers that confirm this. We are hoping the lab that will handle the nitrogen fixation measurement can shed some light on this matter. The productive beds will host a range of fruit and nut trees with soft fruit bushes and perennial herbs and vegetables in the under story with a range of native local bulbs and herbs to attract invertebrate diversity as well as some simple habitat features such as rock piles and tyre ponds. 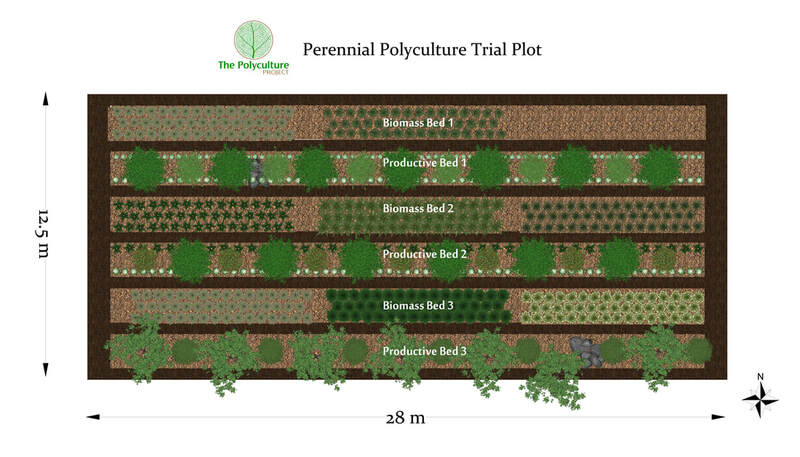 We'll be assessing three polycultures in these beds.